What are the Fortnite week 4 challenges and how do you complete each one? Thanks to a leak we know what we’ll need to know to rank up a few more Battle Pass tiers, but don’t expect them to be easy to get hold of as these are some of the hardest weekly Fortnite challenges yet. The Fortnite Week 4 Challenges go live at roughly 11:00 May 22 BST so you will have to wait until then to actually start grinding through these challenges. On top of the Fortnite week 4 challenges, we can also expect a new Blockbuster challenge to unlock to all players, which promises a new easter egg hunt for players to embark upon based on the loading screen it unlocks. So, yes, lots of Battle Stars to seek out come update 4.3. For more aim-down-sights goodies, be sure to check out the best FPS games on PC. The challenges for this week are going to be tough, with a new type of challenge being introduced that promises to make playing in the middle of the storm circle a living hell. If you haven’t got round to completing theFortnite week 1 challenges,Fortnite week 2 challenges, andFortnite week 3 challengesthough, don’t worry: they are still live and can be finished. Here’s what they are this week and how to complete them. This should take somewhere between five and ten kills with any assault rifle in the game. You’ll find this easier to do over a few squads games where you’ll come across more enemies and get more shooting opportunities. Wailing Woods tends to be a pretty quiet drop zone so this one should be relatively easy. 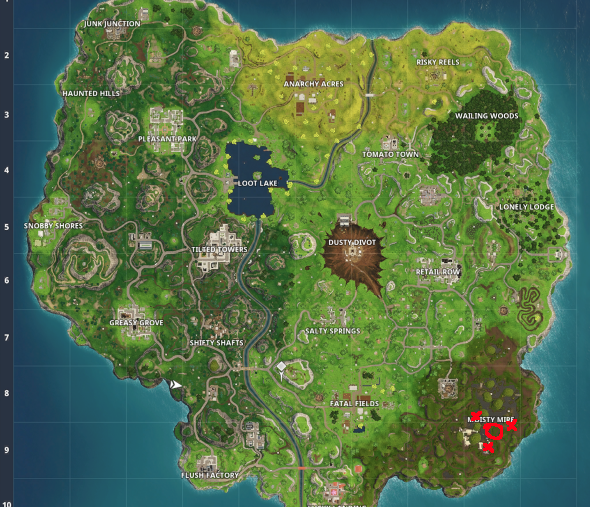 Bear in mind you’ll find roughly four chests in the central maze of Wailing Woods, but you might get more luck dropping in the southeast corner where there are often a couple of chests near parked RVs. Otherwise, you’ll find a couple of chests dotted around the area by trees. This one is easy so long as you drop somewhere quiet and keep an eye out for these green boxes. The best places to grab lots of these tend to be in factory areas like Flush Factory and Junk Junction, but you’ll also find a disproportionate number of ammo boxes in the Crab, Llama, and Fox sculptures that can be found around the edges of the map. A lot of players are worried about this challenge, and it does seem a little difficult for just 5 stars. Basically, at the exact centre of each storm circle you’ll find a big glowing Battle Star, do this for three different circles in a single match to complete the challenge. 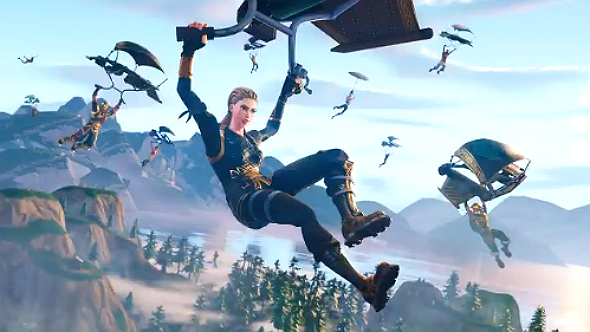 This effectively involves dominating the the middle of the zone for a whole match, which might be easier to achieve in squads with the additional support and building materials you’ll have. You’ll find the crashed helicopter in Moisty Mire, the ice cream truck a little northwest of it, and the bench to the east of that: find where all three points meet for the Battle Star. After multiple nerfs, trap eliminations are pretty tough to come by, but keep trying and eventually you’ll get one. All you need to do is slap some spike traps on the ceilings of busy buildings and hope someone happens by. If you really want to force the point, head into squads, down an enemy and build a spike trap around them. Try and get this challenge done during the launch week where you can bank on lots of other players dropping in Snobby Shores seeking to complete the same challenge. Yes, you’ll die a lot of times, but you only need a couple of good drops to for a full Battle Pass tier.